You are so smart my friend. All part of the “Murray Brand”. That is why your best marketing, is your past customers. I cannot tell you what comfort it is to have this assessment from Paul which basically says we have NO issues. We're not surprised at the grey storage box with kid's toys, and there is one speaker cover which comes off all of the time. Tim has tried everything to make it stay on the ceiling, but it just doesn't. Really, the sound guys should come and replace/repair that regardless of Irma. We were incredibly fortunate !!! Thanks for turning off the breaker, Paul. Lessons learned for next summer when we're in Michigan. Five big stars and a high five for Murray Homes !!!!!!!!!!!!!!!!! What a great idea and what a caring and thoughtful company you are. We have been away and have had someone looking after things after the storm and she tells us that we had no internal or external damage or problems. However we would appreciate Murray’s view. Steve, Suzanne told me you came by yesterday to check on our house. What a relief to know we came through unscathed--a real life tribute to the quality of your workmanship. I already had a idea for a new build if we returned to nothing. I'm keeping it for a future Murray Home project. Thank you for your dedication & professionalism. It is admirable. Steve, Thanks for checking on our house. We really appreciate it. We are away on a trip for the next two weeks but our son will be driving to Sarasota soon to check on his house and will inspect our interior. In the meantime you can have someone fix the boat cover - but only if it is seriously loose or holding a lot of water. We are able to monitor our inside temperature so we know when there are problems with power and the AC. So far so good. Thanks again for looking after us. I hope your home and family are well. We continue to see why we made the right decision six years ago. I found Murray Homes to be extremely professional and helpful. They are very knowledgeable and helped educate me on many aspects of our rehab so I could make intelligent decisions that I was comfortable with. They assigned a foreman to my project that is outstanding and saw it through from beginning to end. I have heard many stories of questionable workmanship by other contractors from other condo owners and feel very fortunate to have had Murray Homes working on my behalf. The quality standards of work that are their trademark exceeded my own expectations. I strongly recommend them. ArtisTree’s experience with Murray Homes has been nothing less than the best. It’s always a joy to integrate landscape design with the vision they have for each home, and we particularly value how committed they are to exceeding client expectations with professionalism and respect. 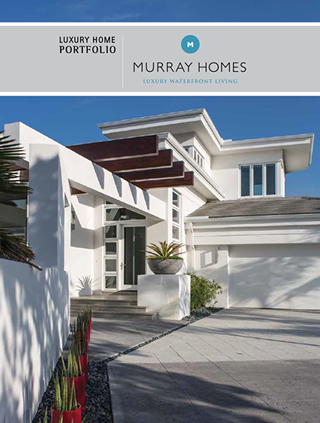 Team Murray have now built or upgraded 11 homes for me in the Sarasota area. I am now looking to build the 12th with them. I guess this would show as to how I give them a 5 Star rating.